The latest innovation in cataract surgery is now available at Drs. Campbell, Cunningham, Taylor and Haun. 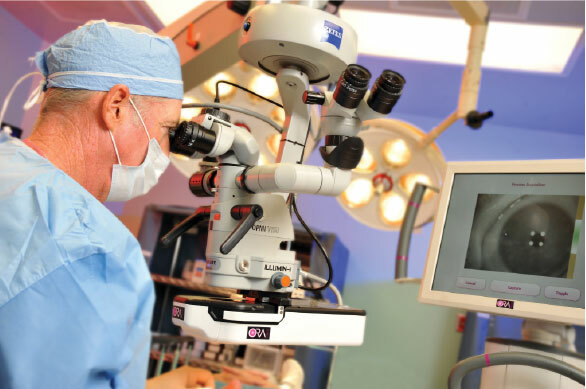 Called the ORA System, this state-of-the-art “smart” eye surgery allows our expert surgeons to take precise measurements and evaluate accuracy during the procedure. If needed, the surgeon can instantly make any adjustments, such as refining the incisions, fine-tuning the power of the Intraocular Lens (IOL) implant or even performing a lens exchange if the pre-selected IOL isn’t a perfect fit. Fully customizing the entire procedure to each patient’s eyes helps ensure optimum clarity and focus, making the ORA System instrumental in achieving the best outcomes for cataract surgery. The ORA System used by Drs. Campbell, Cunningham, Taylor & Haun at Eye Surgery Center of East Tennessee. A painless beam of low intensity laser light is directed into the cataract patient’s eye, reflecting off the retina. Sensors analyze the reflected wave of light exiting the eye to produce precise measurements. This data gives our surgeons a real-time snapshot of the patient eye’s unique optical characteristics, including the imperfections caused by the cataract. After the cataract is removed and the new lens is implanted, the ORA technology can tell if the eye is in focus. If it’s not, the system helps the surgeon focus the eye. Depending on each patient’s specific situation, this may involve refining the IOL power calculations, altering the placement and formation of the incisions, or selecting a different lens. In traditional cataract surgery, measurements are calculated before and evaluated after the procedure. The pre-surgery measurements are used to select the artificial Intraocular Lens (IOL) implant that will replace the cloudy crystalline lens. Although these measurements are precise, there is a margin of error. A few weeks after the procedure, measurements are normally taken once again to evaluate the quality of vision and verify that the best possible IOL was selected. With ORA, this verification can now take place during surgery. This innovation reduces the possibility that adjustments will need to be made later. Your surgeon can assess the quality of your vision during your cataract procedure and can make replacement Intraocular Lens adjustments in real time instead of waiting weeks to determine the outcome. 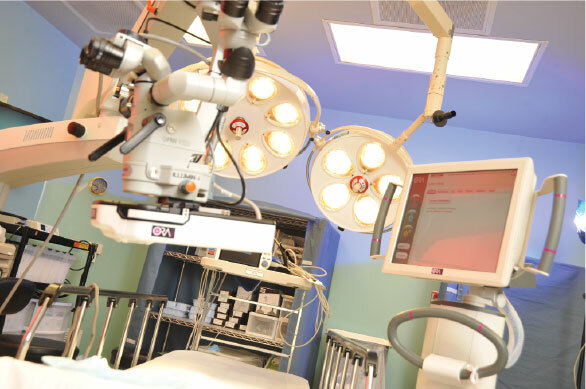 ORA will guide your surgeon, providing you with the opportunity for optimal outcomes. If you have had LASIK, or have astigmatism or any other visual error, using ORA in conjunction with a Lifestyle lens may help eliminate your need for eyeglasses after your cataract procedure. For more information about the ORA System or to schedule an appointment, call us today at (865) 584-0905.